I will be recording sample meal plans and recipes that will hopefully help you plan your own healthy eating routine. It is important to plan calorie deficit very carefully so as not to go too low to start with, ideally you want to eat just low enough to be making gradual progress, e.g. 1 or 2 lbs per week or a few cms off your measurements or a noticeable difference in the tightness of your clothes. Remember that the scale is not the only gauge you should use when measuring your progress. If you have been eating very low calories for a prolonged time and you are not making any progress it can be beneficial to get yourself back up to maintenance levels for a fortnight and start decreasing in small intervals after that. Maintenance calories would usually be 14 or 15 x your body weight in pounds. Initially I will be aiming for 1,800 calories a day with the emphasis being on eating good quality protein, slow release carbs, loads of vegetables and essential fatty acids spread out over 6/7 meals in the day. Whether your goal is to get into shape for a figure competition or to trim fat and get toned for the holidays, protein is an essential part of your daily nutritional needs. Many people, women especially, believe that increasing their protein intake will cause them to “bulk up” – this is a myth! There is a lot of contradictory advice about on nutritional needs. For instance, people are advised to cut out carbohydrates or cut out fat in order to lose weight. The problem with this is that leaving out any major food group is not conducive to a long-term lifestyle change and can result in metabolic problems. Including adequate protein in your diet is essential for getting that lean, toned look. Some of the following are where I get my protein from: beef, chicken, turkey, fish, eggs, whey protein, cottage cheese, greek yoghurt and other dairy products. Meat is considered a “complete” protein and it contains essential amino acids. Vegetarian sources of protein include lentils and all pulses, nuts and seeds, and whey protein, to name a few. 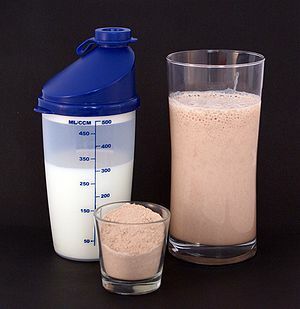 There is some dispute over the correct amount of protein that people should be eating in their daily diet. The amount really depends on your personal nutrition goals. I generally work towards an intake of 1 – 2 grams per kilogram of bodyweight (1kg = 2.2lbs). To get an idea of how much protein you should have in your diet, multiply your body weight (in kgs) by 1 or 2. For me (as of today) that means I need a protein intake of between 74 – 148g per day. Regardless of where you obtain your protein from, red meat, white meat, or no meat, meeting your daily protein goals is an important part of your nutrition. Over the last 5 years I have tried many different protein powders. I buy my whey protein from MyProtein – this is due to their company philosophy and the fact that the products are reasonably priced due to minimalist packaging.